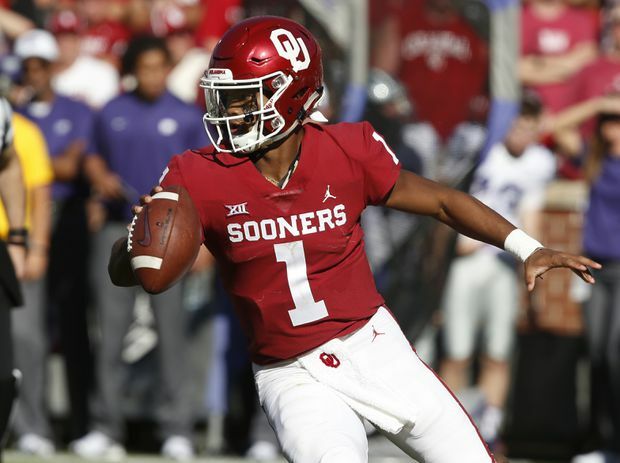 Former Oklahoma quarterback Kyler Murray has declared his intention to focus on his NFL career instead of playing baseball for the Oakland Athletics, who drafted him last year. Heisman Trophy winner Kyler Murray says he will pursue a career in the NFL over playing baseball for the Oakland Athletics. Murray was the ninth overall pick in last June’s baseball amateur draft, and the outfielder agreed to a minor league contract with Oakland for a US$4.66 million signing bonus. He is a football quarterback and eligible for this year’s NFL draft which starts April 25. Oakland, which started spring training workouts on Monday, had a locker with a No. 73 jersey waiting for him. Murray’s baseball deal called for him to receive US$1.5 million within 30 days of the deal’s approval last summer by Major League Baseball and US$3.16 million on March 1. Bo Jackson and Deion Sanders played both football and baseball, but Sanders was a running back and Sanders a cornerback. “He’s one of those rare athletes, who I think any sport that he played, he’d probably excel at,” A’s manager Bob Melvin said. Murray passed for 4,361 yards and 42 touchdowns for Oklahoma last season. He ran for 1,001 yards and another 12 scores, posting the second-best passer efficiency rating in FBS history.